This guy had not seen his family for about a year. So he decided to give his parents a surprise at Christmas. 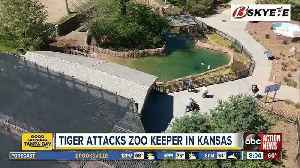 With the help of his brother, he snuck inside his house and sprang up suddenly in front of his parents. His mom looked utterly shocked and embraced him tightly to show her happiness. 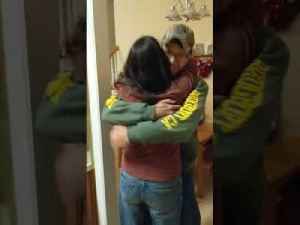 This woman was on hold with customer service when all of a sudden her marine son walked through the door for a surprise homecoming. 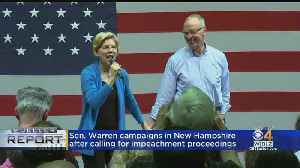 Adorably, she frantically hung up the phone and gave him a big hug.. 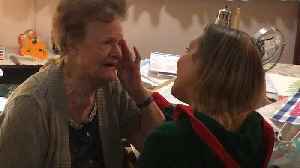 This girl decided to surprise her mother for Christmas by flying all the way from Norway to Arizona. 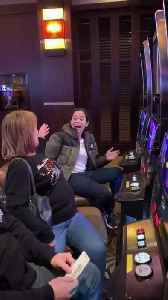 With the help of her family, her mom was brought to a casino where the girl waited for the right.. 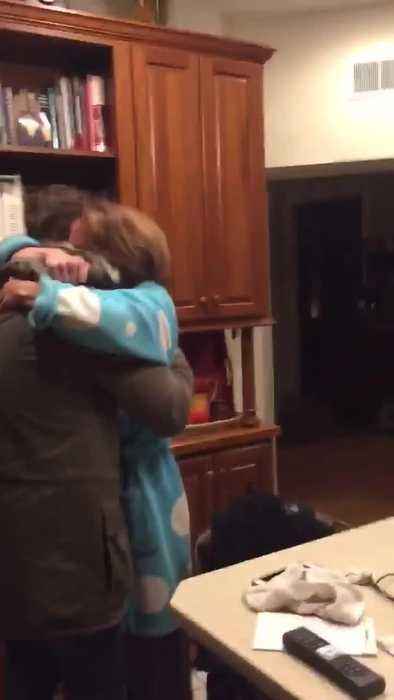 This man wanted to surprise his elderly mom on her birthday. 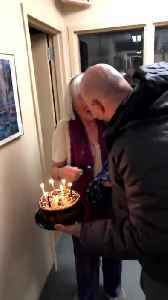 Heartwarmingly, he flew in for a surprise visit and showed up to her door with a cake and candles singing "Happy Birthday to You."